Here are three members of the Womens Land Army pictured at Nymans. 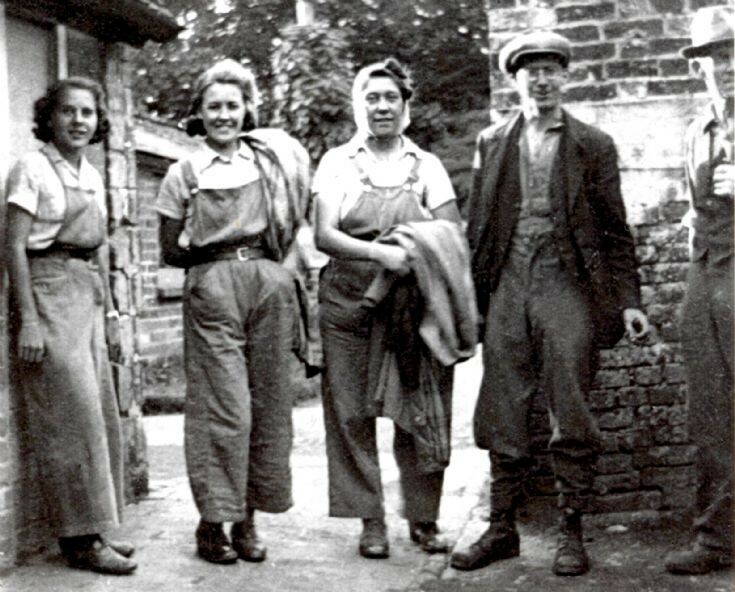 Second from the left is Peggy Lindsey and third is her sister, Louie Duwell, both from Brighton and who were both initially billeted with my mother. Standing next to Louie is my uncle, Arthur “Chub” Newman. Louie Duwell was our Aunt Dorothy married to Fred Tomsett, youngest son of George and Annie Tomsett from Nymans Cottages. Uncle Fred died in Bolney in 2012 aged 99 years. The man in this picture is my father, Arthur Newman, known as "Chub" in and around Handcross. The lady on the left is my Mum, Enid Cowley.